When will the ISS meet its demise? The ISS has periodically been in crisis since Planet X entered the inner solar system in 2003. In 2004 it was a food shortage that was being used as the reason the ISS might have to be evacuated. The ISS was to run out of food by early January unless a food pod could dock on Christmas Day. Per the Zetas, it was the wafting debris-ridden tail of Planet X that was the real worry. ZetaTalk Comment 12/10/2004: At first broadly reported as the novelty they were, and then suppressed in the news as are all clues to the presence of Planet X and its entourage, these fireballs are the reason for the need to evacuate the ISS, and soon. Then in 2007 another ISS crisis was announced when a power outage appeared. This was ascribed, in part, to an ammonia leak, which is not coincidentally the 2013 crisis currently in the news. Per the Zetas, once again the debris-ridden tail of Planet X was the problem, though not admitted by the establishment. 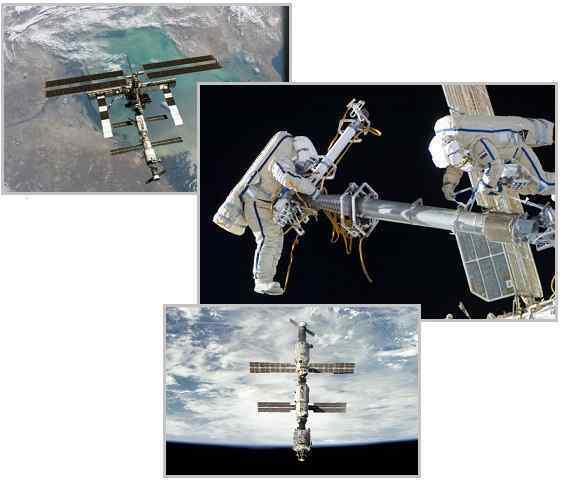 ZetaTalk Prediction 6/16/2007: The larger message is that the ISS will not last long, as human technology is fragile, the broken link theory very much in place during rapidly changing times, and repairs parts out in space not readily available. Best to bring the crew home, admit that debris is increasing and the ISS cannot be protected. In 2009, the ISS had another crisis, this time over a near collision, a close call - space junk that might force an evacuation. Per the Zetas, it was not space junk but once again the debris-ridden tail of Planet X that was making everyone nervous. ZetaTalk Comment 3/14/2009: The story of space junk endangering the ISS is a cover in case an evacuation is done. Now we have a 2013 crisis, once again related to a persistent ammonia leak. Per the Zetas, if this cannot be fixed, it would indeed force an evacuation, as without electricity none of the ISS functions would be operational. Thus it would be the perfect excuse for a final evacuation. Russian and US space experts were scrambling to address a “very serious” ammonia leak outside the International Space Station that may require astronauts to perform an emergency spacewalk. Russia has suffered several recent setbacks in its space programme, notably losing expensive satellites and an unmanned supply ship to the ISS but the manned missions have been flawless. ZetaTalk Comment 5/11/2013: At what point will the ISS be evacuated? Will there be a sudden catastrophe where it is destroyed by flinging debris to the extent that all on the station are killed? Or will it be, as they say, death by a thousand paper cuts, cumulative problems that reach a threshold where it is clear that the struggle to maintain astronauts aboard cannot be won. Are the renewed ammonia leaks the chosen excuse? If the ship loses its ammonia, the electrical system will falter, preventing life on the ISS and even preventing repair of the leak or evacuation from proceeding. There is a history established of prior leaks, all in the same region of the ISS. If this is to be used as the excuse for an evacuation, then crew members would steadily be removed from the station until the last members leave, admitting they were unable to repair the ISS. This would likely occur during turmoil and distraction on Earth, to be used as cover for the final evacuation. There is ample evidence that cave men carved spirals on cave walls, along with figures in panic, rushing to high ground during a passage of Planet X in the past. Thus they are a symbol of an impending Pole Shift. ZetaTalk Confirmation 12/12/2009: Spirals were present in the skies, as signs in the skies, during prior pole shifts, yes. Spirals have appeared as crop circles too, since Planet X returned to the inner solar system in 2003, and in the skies in a dramatic fashion, as occurred during the neon blue Norway swirl on December 8, 2009. If the astronauts on the ISS are worried about a safe evacuation prior to the passage of Planet X, aka Nibiru, the Annunaki likewise had these worries. They were on Earth at the time of the Flood, which occurred three Pole Shifts back, approximately 10,800 years ago. ZetaTalk Explanation 8/15/1995: The Flood occurred three pole shifts back, approximately eleven millennia ago. The shift prior to that had been slight, so that melting of the poles was slow and incomplete. Ordinarily each pole shift places the old poles in a position where they will quickly melt, facing the Sun. The pole shift ahead of the one causing the flood only moved the old poles slightly, so much of the ice was still remaining. Poles over land have constant runoff when they melt, and settle as the weight of ice presses down, but poles over oceans melt more from the bottom up, leaving caverns of ice honeycombed within as the water can support ice of odd shapes. Thus a vast body of thin ice stretched out over the southern ocean, over the location of the old pole. When the comet caused massive Earth movements this ice sheet fractured and fell into the water, causing a huge displacement and resulting massive wave. This wave was the flood, of legend worldwide. 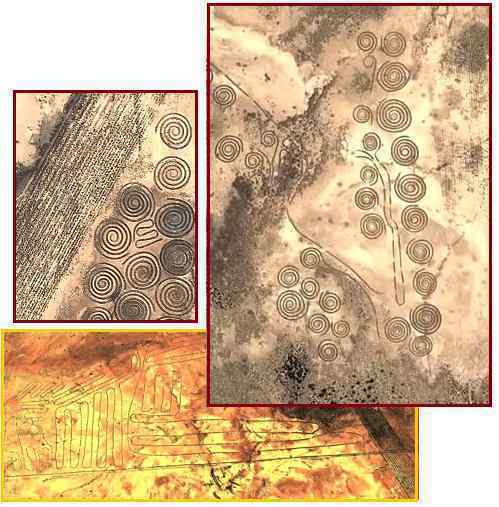 Per the Zetas, these Nazca-like lines and spirals in the S African rock are an emergency landing strip for the Annunaki. ZetaTalk Comment 5/18/2013: The spirals and Nazca-like lines carved into rock near Verneukpan, S Africa are genuine and were done in the past by the Annunaki. These are, as with the Nazca lines, landing guides. 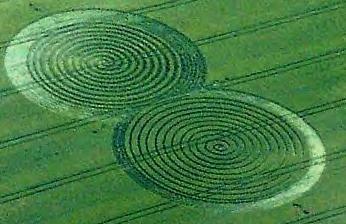 But why the many spirals, which are seen in recent crop circles as well as on cave walls? Spirals are seen in the sky prior to a passage, due to magnetic tornados formed in the atmosphere. Thus, early man drew them to warn future generations. But in S Africa they adorned landing stripes to indicate an escape route for those Annunaki left in harms way as the Pole Shift approached. The Flood was caused by a displacement wave from half-melted Antarctic ice, and those trapped at the tip of S Africa were vulnerable. The 7 of 10 plate movements are giving people around the world that sinking feeling. 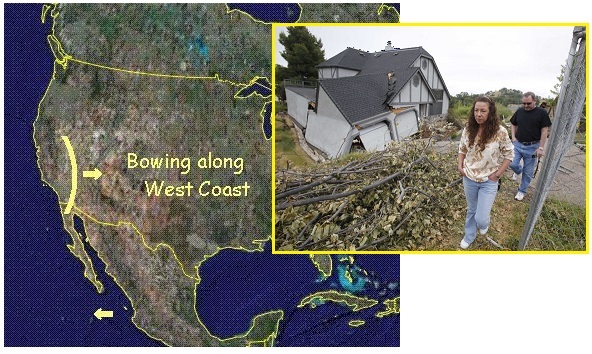 California is at the center of the bow stress on the N American continent, so should it be any surprise when a subdivision north of San Francisco started inexplicably sinking? The sinking is happening on a hill top, and rainfall in the area has been low. Other than shifting ground caused by the bow stress, there seems to be no explanation. The cracks soon turned into gaping fractures, and within two weeks their 600-square-foot garage broke from the house and the entire property — manicured lawn and all — dropped 10 feet below the street. Officials believe water that has bubbled to the surface is playing a role in the destruction. But nobody can explain why suddenly there is plentiful water atop the hill in a county with groundwater shortages. Considering this is a low rainfall year and the fact it's letting go now after all of these years, and the magnitude that it's letting go, well it's pretty monumental. The bow stress is also responsible for a sudden and unexpected landslide at the Bingham Canyon Mine. As with the Crandall Canyon mine collapse in 2008, this landslide was east of the rigid Salt Flats. Per the Zetas, the bow stress moves to the east of the Salt Flats. The slide occurred around 9:30 p.m. in the northeast section of the mine. The copper mining company was aware of the impending slide and had warned residents near the mine that a slide was possible any day. Kennecott engineers had been detecting ground movement as far back as February. ZetaTalk Explanation 4/26/2008: We have described a temporary bowing along the West Coast as the stress on the N American continent builds. Rather than tear along the New Madrid and related fault lines, Mexico at first is pulled toward the west, creating a bow that forms around California and stresses the rock along the West Coast all the way from the tip of Mexico to Alaska. 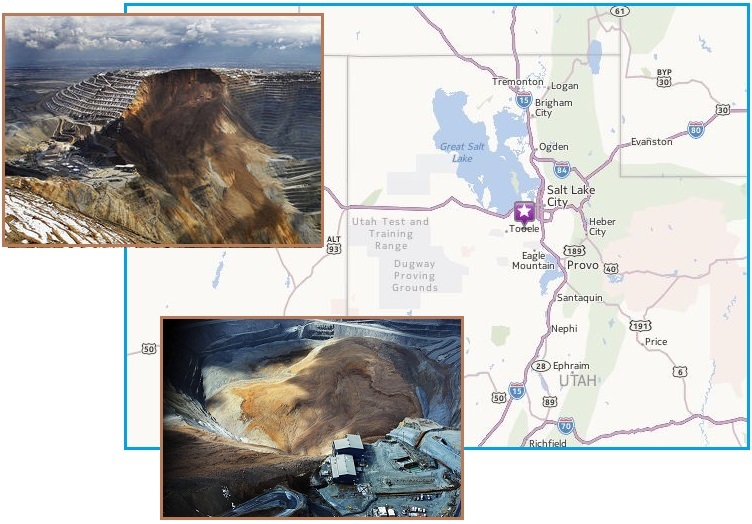 The Crandall Canyon mine disaster in Utah was due to bowing stress. As with the Utah mine disaster, the fraying and cracking are occurring to the east of a solid block of rock that is resisting any change. The mining accident in Utah in 2007, just to the east of the Salt Lake flats, is in rock that fractures more readily than the rigid Salt Lake flats to the west, which show no evidence of being affected during past pole shifts while the mountains on either side of these flats are rumpled. N America is not the only continent to get that sinking feeling lately. As S America rolls the Caribbean Plate is steadily tilted up at the north end and pushed down by the hump at the south end. The island of Grenada is, per the Zetas, to be greatly affected. Thus no surprise when the residents are finding sea water rushing up their rivers. The old coastal road in this fishing village at the eastern edge of Grenada sits under a couple of feet of murky saltwater, which regularly surges past a hastily-erected breakwater of truck tires and bundles of driftwood intended to hold back the Atlantic Ocean. 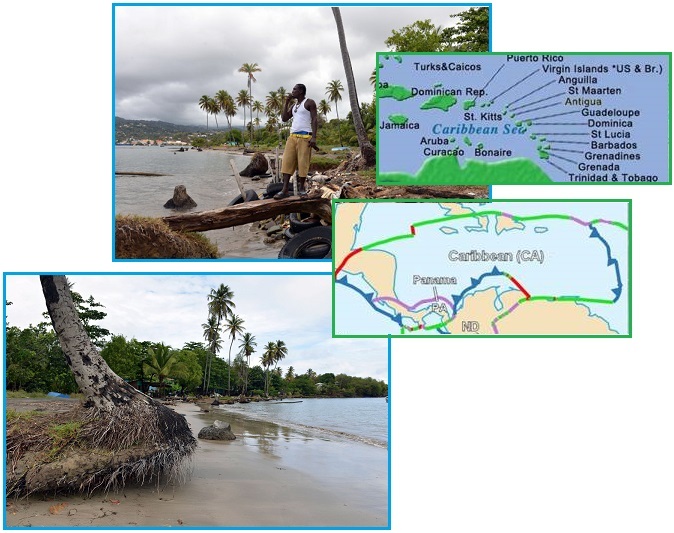 In eastern Grenada, people living in degraded coastal areas once protected by mangrove thickets say greater tidal fluctuations have produced unusually high tides that send seawater rushing up rivers. Farmers complain that crops are getting damaged by the intrusion of the salty water. ZetaTalk: Caribbean 2/15/2011: Islands just to the north of S America will be affected the most such that Barbados to Tobago may sink entirely except for the highest points, losing several hundred feet in elevation, and Trinidad will be torn apart in addition to sinking as it rides on the plate border. 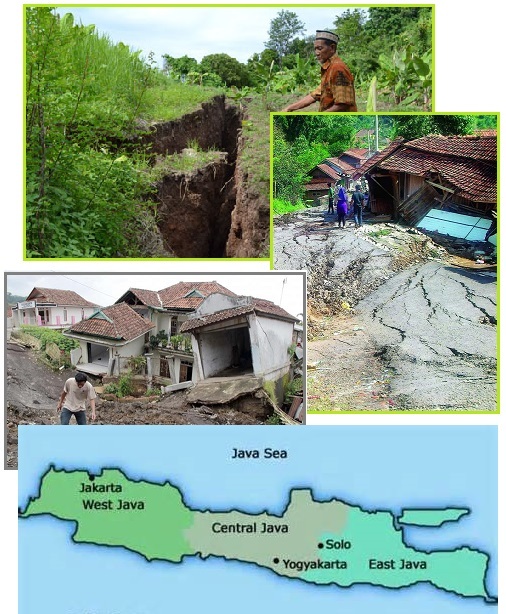 Across the Pacific the island of Java continues to crumble. This began at the end of 2010 when the 7 of 10 plate movements started, and per the Zetas has not yet completed. The land in Java is described by the Zetas as a rubble, easily crumbled, and crumble it does. No one knows for sure the cause of the land in the village Banyuresmi, chap. To be sure, according to residents, when the clock struck 23:00 pm, the ground suddenly shifted. ZetaTalk Prediction 1/4/2011: We have explained that the land masses of Sumatra and Java have been formed from rubble, when the plate tongue holding Indonesia was pushed down and under the curve of the Indo-Australian Plate in the past. Rubble does not act as one, but adjusts more like settling gravel, a bit here then a bit there. Of course as the Indo-Australian Plate tilts to plunge under the Himalayas, this creates mountain building in Tibet, which has recently had an inexplicable landslide burying 83 slumbering minors. Per the Zetas, mountain building in the Himalayas is forever restive. 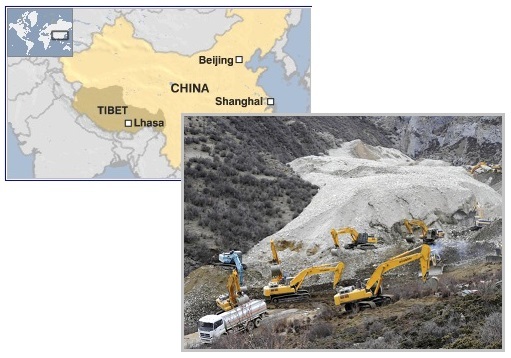 A massive landslide engulfed a gold mining area in mountainous Tibet, burying 83 workers believed to have been asleep. ZetaTalk Explanation 8/28/2010: The Himalayas were not built in a day, but were pushed up over repeated pole shifts in the past. Even with the cover-up over Nibiru, aka Planet X, the public senses that something is afoot. The End Times obsession is nothing new, as periodically over the past few centuries there have been predictions that the time is nigh, particularly among Christians. The recent Harold Camping failed predictions are an example. Christians often see only the faithful being raptured. Per the Zetas, the criteria for assistance is being highly Service-to-Other. Camping predicted that Jesus Christ would return to Earth on May 21, 2011, whereupon the righteous would fly up to heaven, and that there would follow five months of fire, brimstone and plagues on Earth, with millions of people dying each day, culminating on October 21, 2011, with the final destruction of the world. He had previously predicted that Judgment Day would occur on or about September 6, 1994. The end may be near for a California evangelical radio network used by a preacher to predict – incorrectly – the apocalypse. 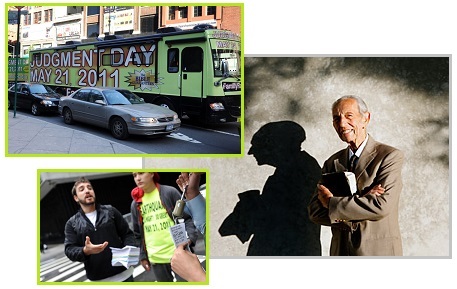 The radio network is run by Harold Camping, who predicted the world would end on May 21, 2011, only to later concede he had no evidence of an impending apocalypse. Camping, 91, suffered a stroke after his prediction did not materialize and has since said he has no more interest in considering future dates for the end of the world. ZetaTalk Comment 10/15/1996: If the message was heard by a Christian fundamentalist while reading the Bible, then those to be saved during Armageddon were Christians. But the vague unease over End Time prophecies goes beyond the predictions in the Book of Revelations. WW III is frequently posed as the cause, or perhaps a Nuclear Winter scenarios. Lately we have had the Global Warming excuse predicting an end to life on Earth, or at least an end to life as we know it, with rising seas and life on Earth in a struggle. If you follow Hal Lindsey, you've probably changed the "end of the world" date in your calendar several times. 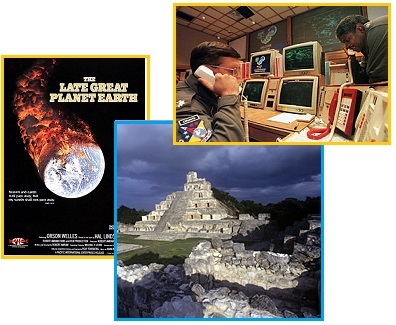 His Late Great Planet Earth, which was the best-selling nonfiction book of the 1970s, predicted that the world would end sometime before Dec. 31, 1988. He cited a host of world events — nuclear war, the communist threat and the restoration of Israel — as reasons the end times were upon mankind. The Left Behind series, though they do not predict an end date, provide a vivid fictional account of how Earth's final days could go. The 16 novels have sold more than 63 million copies worldwide. The Apocalypse is not strictly a Christian premonition as the Y2K and 2012 Mayan Calendar end date flaps show. Where the real cause of global catastrophes is the passing of a rogue magnetic planet - Nibiru, aka Planet X - during the cover-up this could not be presented as the cause. Thus all manner of dire warnings were given for the Y2K crisis, which was going to cause worldwide electrical failures affecting every aspect of civilized mankind’s existence. Was the establishment trying to desensitize or warn the population? Certainly, the predictions were dead wrong, but the predictions were appropriate for the coming Pole Shift. Computers — not sin or religious prophecy come true — will bring us down. For months before the stroke of midnight on Jan. 1, 2000, analysts speculated that entire computer networks would crash, causing widespread dysfunction for a global population that had become irreversibly dependent on computers to hold, disseminate and analyze its most vital pieces of information. The problem was that many computers had been programmed to record dates using only the last two digits of every year, meaning that the year 2000 would register as the year 1900, totally screwing with the collective computerized mind. But it just wasn't so. ZetaTalk Comment 3/15/1999: Year 2000 is like the Wizard of Oz behind the curtain. A lot of noise, a lot of banging around and innuendo, with no punch behind it. Mankind has been told that changes will occur on the millennium, totally disrupting their lives. Trains won't run, the refrigerator will turn off, food will melt, planes falling from the sky, bank teller machines refusing to recognize cards. None of this is true. The supposed end of the Mayan Calendar was most certainly deliberate hype, to focus the unease of the populace on some cause other than Nibiru, aka Planet X. The plan was to have the date far enough out in the future that the populace would stay in their jobs, living along the coastlines. Oops, now 2012 has come and gone and the vague unease about the Earth wobble and erratic weather and tides is still here! ZetaTalk Comment 11/26/2011: 2012 was used as a magnet, so that discussions about the many prophecies, the End Time prophecies, could be pointed into the future. When the 2012 craze first began, years ago, this was far into the future and thus considered safe by the establishment, who want first and foremost for their slave classes to tend to their jobs and not rush away from coastal cities.